Audra Carlson was raised in Eastern South Dakota. She studied with Suzuki teacher, Jane Lunder, beginning at the age of four. For many summers, she attended the Suzuki Institute in Stevens Point, WI where she met Dr. Suzuki himself on several occasions. At the age of thirteen, she started studying with Cleveland violinist Dr. Raymond Sidoti and performed as concertmaster of the Sioux Falls Youth Symphony from the age of fourteen. She was also a paid member of the South Dakota Symphony and Sioux City Symphony from her freshman to senior years in high school. Her junior year in high school, she soloed with the South Dakota Symphony. In 1996, she graduated on a full ride from the University of South Dakota with a degree in violin performance. That same year she moved to Fairbanks, AK after a life changing paddling trip on the Yukon River. She has been teaching violin privately in Fairbanks ever since. In 2012, she received luthier training at University of New Hampshire and in 2014 started her formal Suzuki training at the Fairbanks Suzuki Institute. She currently has a full private studio and runs her business, Weston Strings, as a luthier and sells quality stringed instruments. In 2014, she joined the Fairbanks Symphony Orchestra and in 2015 started teaching group classes with the Fairbanks Suzuki Talent Education program. Ryan Fitzpatrick, a native of Bourbonnais, Illinois, graduated from the Indiana University Jacobs School of Music in 2013, where he earned his degree in Music Education. He has also served as assistant principal cellist for the Classical Symphony Orchestra of Chicago and Indiana University Symphony Orchestra. Most recently, he was the assistant principal cellist for the Civic Orchestra of Chicago and attended the Aspen Music Festival. 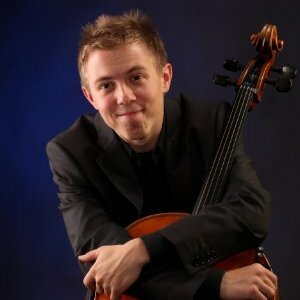 Currently, he is the principal cellist of the Fairbanks Symphony. His notable teachers have included Emilio Colón, Marc Coppey, Helga Winold, Richard Aaron, and Daniel McDonough of the Jupiter String Quartet. ​Programs Mr. Fitzpatrick has taught in include the Indiana University Young Winds Band Program, Indiana University Pre-College String Academy, and the Indiana University Fairview Violin Project under the direction of ASTA president, Dr. Brenda Brenner. From January to May of 2013, Mr. Fitzpatrick taught at both Concord Junior High and High School in Elkhart, Indiana, and at the Assumption Senior Girls’ National School in Walkinstown, Ireland. 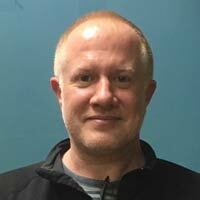 He was the Orchestra Director at Limestone Middle School in Herscher, Illinois, and is currently teaching cello and music education and performs with the Alaska Trio at the University of Alaska Fairbanks. Beth Grimes was born in Washington state, but at the age of 9 moved to Delta Junction, Alaska, with her parents and sister. As a kid she enjoyed piano lessons, but violin was her passion. In high school she studied violin with Dr. Butler-Hopkins (UAF) before attending Pensacola Christian College and earning her Bachelor of Arts degree in Violin Performance. Her teacher in college was the renown Brazilian violinist, Dr. Alberto Jaffe. 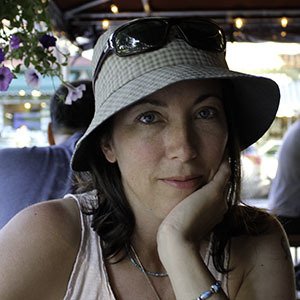 In Fairbanks, Beth has played in the Fairbanks Symphony Orchestra and Arctic Chamber Orchestra. Beth has been teaching violin for more than 10 years. She continues her own violin teaching education by attending Suzuki teacher training and maintaining teacher membership in the SAA. Her students have gone on to study music in college and earn scholarships from their music performances. Beth is married to Joseph Grimes, a local Nurse Practitioner, and has 4 children ages 6, 4, 2, and 14 months. Violinist Gail Johansen has taught violin, viola and chamber music for 36 years as a studio teacher in Fairbanks. A registered Teacher Trainer with the Suzuki Association of the Americas, she is on the faculties of summer institutes across North America. She is treasurer on the board of the Fairbanks School of Talent Education and directs their Heart of Alaska Strings, a touring ensemble that has performed in Hawaii, New Mexico and Nevada. As Artistic Director of the Fairbanks Suzuki Institute, she received the 2008 SAA “Creating Learning Community” award. She holds a Doctor of Musical Arts degree from Stanford University and Master of Music degree from the Cleveland Institute of Music. In 2009 Dr. Johansen was honored to receive the prestigious CIM Alumni Achievement Award. Dr. Johansen is associate concertmaster of the Fairbanks Symphony and the Arctic Chamber Orchestra and has played with these ensembles for 36 seasons. She is a founding member of the Alaska Chamber Players, performing both violin and viola with this ensemble. Her distinguished students are graduates of the Juilliard School, Cleveland Institute of Music, Shepherd School of Music, San Francisco Conservatory, Meadowmount, and Encore. She has four children, all accomplished musicians who share her love of music. 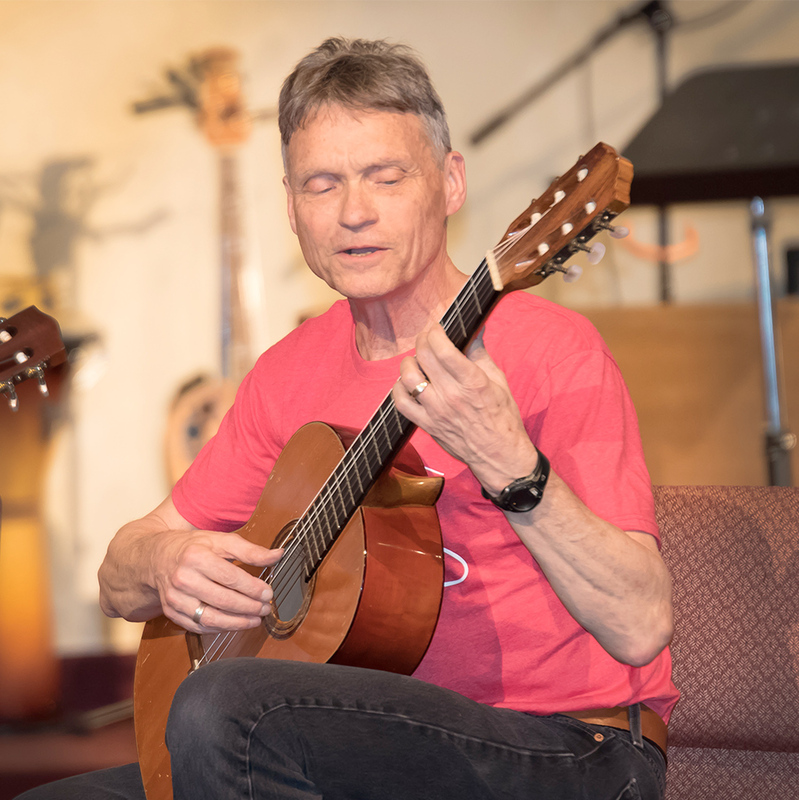 Jeff Merkel, originally of Pennsylvania, began folk guitar in middle-school, but fell in love with classical guitar in Sweden during high school. He studied with Gregory Bonenberger at Yale College. After graduating from Yale Divinity School, he pastored Lutheran parishes in Manhattan, Philadelphia, Holden Village (WA), Wasilla, and Fairbanks, incorporating guitar whenever possible. With children, Jeff retired, and his son started guitar with Scott Darter, a local Suzuki-aware guitarist. When Jeff’s daughter began violin with Dr. Johansen, the Suzuki method finally came into focus – Jeff became active in FSTE, took “Every Child Can,” learned violin, attended Fairbanks Suzuki Institutes, and helped form Suzuki Parents Association for FSTE. Compelled to travel to Anchorage and Denver for Guitar Suzuki Institutes, Jeff hoped to bring Suzuki guitar “home.” He took Book 1 training in Ottawa KS, in 2015 with Andrea Cannon of Houston, his son’s mentor-via-Skype. Book 2 and 3 training followed at the Alexandria VA Suzuki Guitar Institute. Besides the joy of teaching at Swallow Ridge Studio, Jeff is energized by his role Suzuki-parenting Annika, 8, and Matteo, 11 – no forgetting that third leg of the “Suzuki Triangle.” All made possible by the commitment, devotion and encouragement from their mom, Marin. 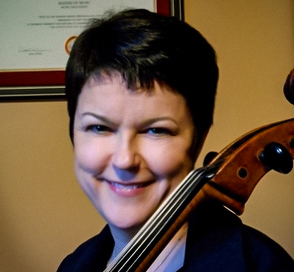 Cellist Michele Jeglum has taught in the public schools and as a private studio teacher for the past twenty years. She currently operates a private cello studio in Fairbanks, Alaska, teaching the Suzuki method to students from age 3 to adult. 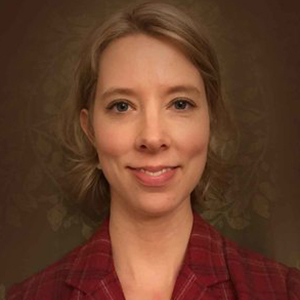 She has been involved with the Fairbanks Youth Orchestras as conductor of both the String Orchestra and the Concert Orchestra, coached chamber music, and has served as conductor and cello instructor at the University of Alaska Summer Music Academy. She holds a Master of Music degree from Boston University and a Bachelor of Music Education from the University of Montana. Michele has been a cellist with the Fairbanks Symphony Orchestra, the Arctic Chamber Orchestra, and the Opera Fairbanks Orchestra. 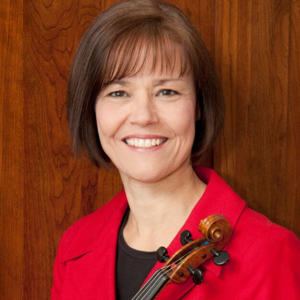 She is the past state president of the American String Teachers Association, and currently serves as President of the board for the Fairbanks School of Talent Education. I grew up near New York City in a music loving family. Viola was always my favorite instrument. I played in the Westchester Youth Symphony, and also attended the Aspen Music School for two summers. My teacher there and later in NY was Walter Trampler, a preeminent violist who often performed with the Budapest String Quartet. At the University of Iowa I pursued a B.A. in English, graduating with honors. Again I was privileged in my private teacher and chamber music coach, William Prucil, Sr. Unbeknownst to me at this time, Bill and his wife, Doris, were raising their children in the Suzuki Method and becoming leaders in the Suzuki Association of the Americas. After earning an M.Ed. at the University of Virginia, I became the teacher/director of a NY parent cooperative preschool. In 1976, with a new baby, my husband John accepted a one year position at UAF. That was 40 years ago!! The Fairbanks Symphony, Arctic Chamber Orchestra and recently the Northern Lights String Orchestra, as well as various friendly quartets, have satisfied my viola playing needs. Our two sons led us into the Suzuki Method which was just underway in Fairbanks when we arrived. I totally enjoy teaching youngsters through this wonderful philosophy. In addition I have had the pleasure of teaching general music at the Fairbanks Montessori Preschool for 25+ years. Dorli McWayne has been principal flutist of the Fairbanks Symphony and Arctic Chamber Orchestras since 1974 and a member of the UAF Music Department faculty since 1981. She was active in bringing a Suzuki Flute program to Fairbanks, and was the Artistic Director for the UAF Summer Music Academy for seven years. 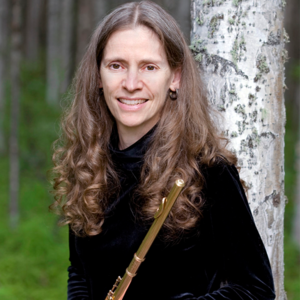 She has been the director of the Fairbanks Flutists since founding it in 1981 and a performer with the Aurora Chamber Players, the Northwind Trio, Chinook Winds, the Fairbanks Light Opera Theater, and the Western Opera Company. While serving on the Fairbanks Youth Orchestras Council for she participated in the formation of the Concert Orchestra. She taught at the Fairbanks Summer Fine Arts Camp and the Fairbanks Summer Arts Festival, and has maintained a private flute studio in Fairbanks for over 40 years. Ms. McWayne has appeared as soloist with the Arctic Chamber Orchestra, the Fairbanks Summer Arts Festival Orchestra and the UAF Wind Ensemble. As a member of the National Flute Association’s Professional Flute Choir, she has performed in cities across the country and served as conductor of the ensemble in Columbus, Ohio in 2000. She can be heard on 10 CDs with the National Flute Choir. She holds a Master of Music degree from Boston University and a Bachelor of Music Education from the University of Montana. Michele has been a cellist with the Fairbanks Symphony Orchestra, the Arctic Chamber Orchestra, and the Opera Fairbanks Orchestra. 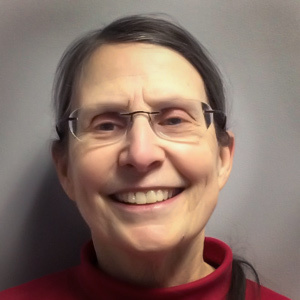 She is the past state president of the American String Teachers Association and is the President of the board of the Fairbanks School of Talent Education. Violinist Gail Johansen has taught violin, viola and chamber music for 36 years as a studio teacher in Fairbanks. A registered Teacher Trainer with the Suzuki Association of the Americas, she is on the faculties of summer institutes across North America. She is the treasurer of the Fairbanks School of Talent Education and directs their Heart of Alaska Strings, a touring ensemble that has performed in Hawaii, New Mexico and Nevada. As Artistic Director of the Fairbanks Suzuki Institute, she received the 2008 SAA “Creating Learning Community” award. She holds a Doctor of Musical Arts degree from Stanford University and Master of Music degree from the Cleveland Institute of Music. In 2009 Dr. Johansen was honored to receive the prestigious CIM Alumni Achievement Award. Hayley Baksis was born and raised in Fairbanks Alaska growing up in our local Suzuki program. She continued on to play violin at Utah Valley University studying with Donna Fairbanks. As her husbands job brought them back to Alaska she completed her degree in Violin Performance at UAF with Dr. Butler Hopkins and played with the Fairbanks Symphony and Arctic Chamber Orchestra. Every summer she continues her teacher training at the Fairbanks Suzuki Institute. She has been teaching for 7 years and is now working with our group class. Hayley is a wife and a mother of 4 children.